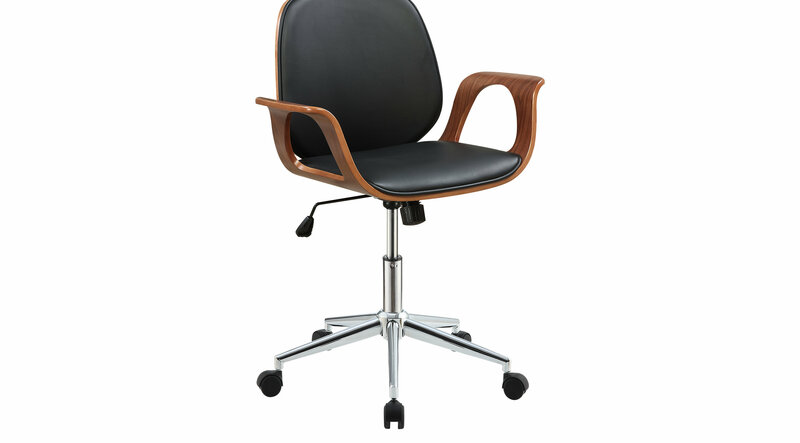 Revive your work station with the eye-catching Wender black desk chair. Featuring elegant, curved wooden walnut finish outside, with a UltraHyde padded seat on the inside, complimented by wooden framed arms and a chrome base and caster wheels, this chair is as stylish as it is sturdy. Keep one on your home office or workstation to inspire creativity and confidence.